A hair makeover is like telling everyone (or yourself!) that you are no longer the same person as you were before. Do you know that a change in the way we wear our hair is strong enough to impact our personality and attitude? Some say it’s in conjunction with a shift in their sense of identity, something major happening in their life like a breakup or a divorce. Although I have none of the bad things happening to me again (thank god! ), I felt quite stagnant and stifled by my current situation. Yes, 2013 was indeed a year of transformation and building. I gave up a stable job to work freelance. I acted, I blogged, I coached, I tutored, I did things which I’ve never done in the past. But recently, I felt that I’ve somehow reached a plateau. Cutting your hair is a small step to change your life and have an impact. For me, it is something I can do right away (with immediate change), feel good about the control I have over my life. Often, after a hair makeover, I feel like a brand new person. I feel confident (if it is a good makeover) and I make bolder decisions after. “A hair cut can be like flying a banner of change, a declaration that from here on out things are going to be different,” says Mary Anne Radmacher, co-author of Simply an Inspired Life. While I was comfortable with my old hair (it was easy to maintain), I was bored with it. I wanted something different, yet the colour had to be something accepted by the media. (No traffic lights colours!) In the end, I decided to leave it to the hands of Judy to come up with something. Judy suggested some curls initially, and I was quite hesitant. My curling experience three years ago left me at a cold war with my mum for a month. But as the Chinese philosopher Lao-Tzu said “The journey of a thousand miles starts with a single step.” If I want to do something different, this is my first step to getting out of my comfort zone. Hair can (really) make or break a person’s appearance. The hair makeover spruce up my overall look (some friends said it completely transformed me into someone else). It actually boost my confidence when I’m dressed up. I felt empowered. But for the first month, I wasn’t ready for such a change. I preferred hassle-free hair styles, the type which I can just get out of bed and rush off after a quick change of clothes when I’m late. With the new hairdo, I had to put in extra effort, and this include hair mousse, hair wax, hair energizing gel etc. I was repelling to the change. I was questioning myself if I made the correct decision. But after another session of styling class with Judy, she convinced me. Here’s 3 different styles Judy did for me, showing me how to “play” around with my new hairdo! While checking out these photos, here’s some funny (or interesting?) New Year resolutions to go with! Dear God, my prayer for 2014 is a fat bank account and a thin body. Please don’t mix these up like you did last year. Important Resolution! : I will not bore my boss by with the same excuse for taking leaves or for being late. I will think of some more excuses. Tip: If you want to transform your look, be sure to do your research and collect photos of the hairstyles. Find a professional hair stylist whom you trust (very important!) and learn about the maintenance* of the new look before going ahead cut it. *Does it need to be straightened or curled daily for that hairstyle to look nice? What kind of hair care products do I need to use after the bleaching or perming? For those who know me, ribbons are so not me. But with the new hairstyle, there’s the sudden urge to dress up and get new hair accessories to go with my hair. Here’s some cute, handmade (one-of-a-kind) ribbon clips I found at Jcottz *Scape which I thought went pretty well with my new hairdo! Here’s a photo which I officially publicized on my instagram about my new hair makeover. All my friends love it! Backstage Hair Salonopened its doors in November 1991 and quickly developed a reputation for providing top-notch hair services. It is at 3 Killiney Road #01-03 Winsland House 1, Singapore 239519. 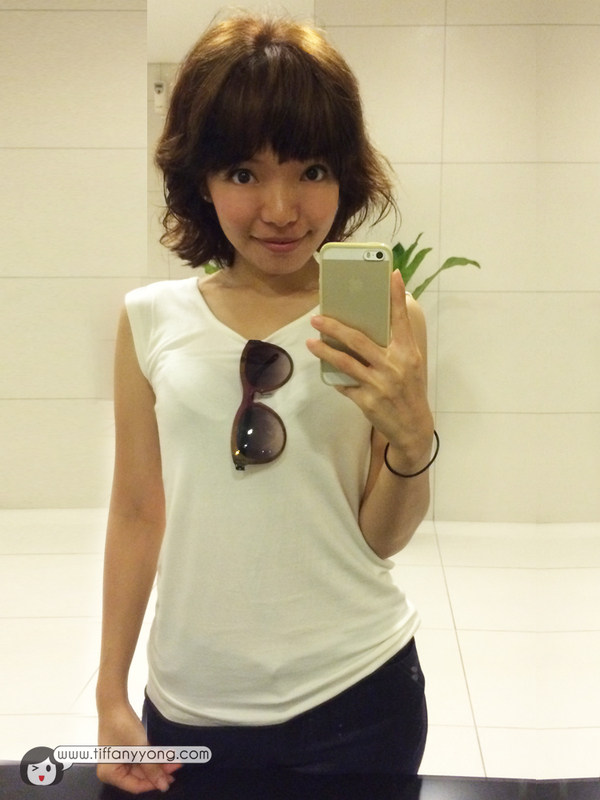 Haircut prices start from S$45 for a haircut by a Stylist, $55 by a Senior Stylist and S$75 by a Creative Stylist. Judy’s charges are S$125 for a haircut. All my readers can enjoy a 20% discount off all services (except products and Judy’s services). To enjoy the discount, just “like” the Backstage Facebook Page and quote “Tiffany” to the receptionist prior to the start of the session. Call 6733 6696 or 6733 7796 to book your appointment. you look awesome! love the new hairdo!! and the cute Japanese look!